During the course of the second week of the changeover, the gallery spaces were transformed into beautiful and welcoming spaces. 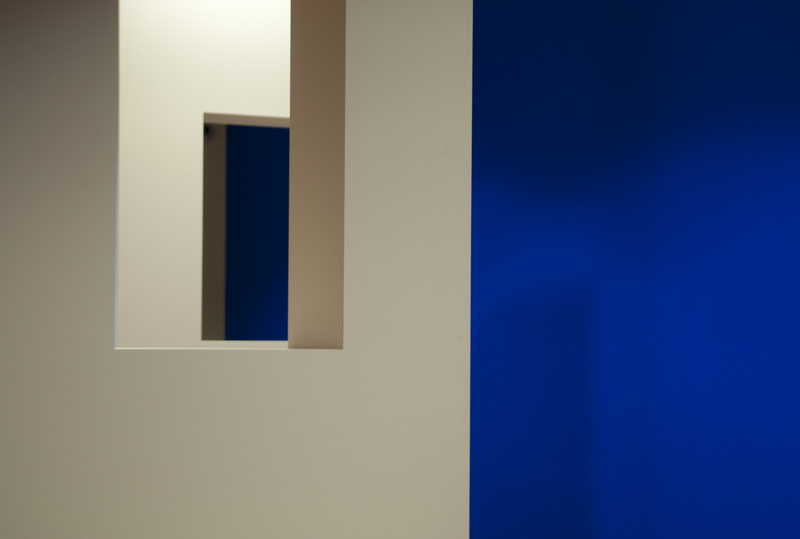 One space in particular has walls painted in a jaw-dropping electric blue, complemented with a lemon pastel yellow; these hues (named weathered yellow and digital blue) can’t help but command your attention when you walk through the space. 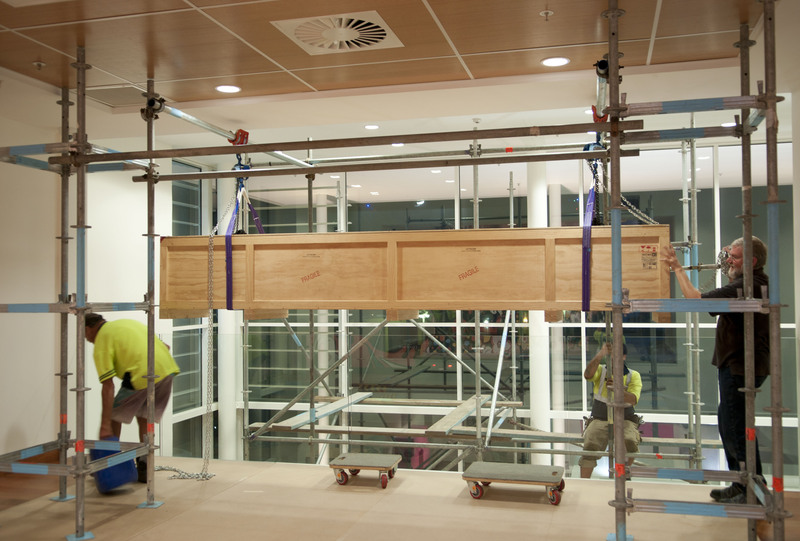 The freshly painted walls have been given time to off-gas (a process which allows the chemicals to evaporate), and exhibition furniture such as plinths and false walls have been moved into the spaces. A specially designed soundscape has also been installed into one of the galleries, which will create an atmospheric backdrop to the exhibition Mudlark, a survey of Bronwynne Cornish’s ceramic sculpture from 1982 – 2013. 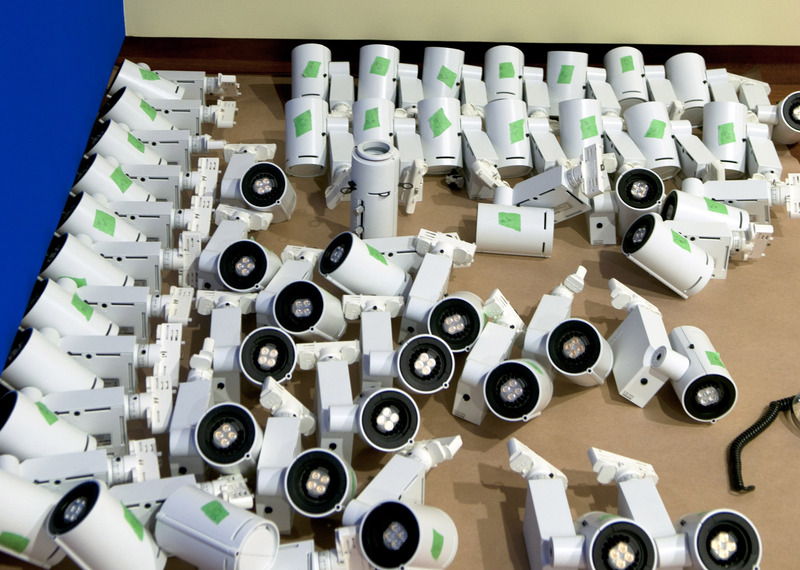 Lights are laid out and ready to be installed for next week and the objects’ specifically designed mounts are being given the final touches in preparation for installation. In order not to give too much away I have included a sneak preview of the progress of the spaces from this week for you to enjoy. 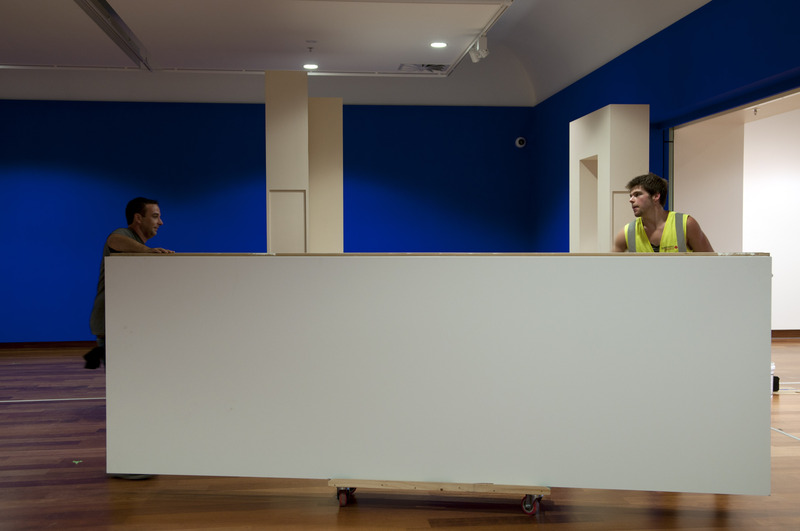 Exhibition furniture against a background of the boldly painted walls. 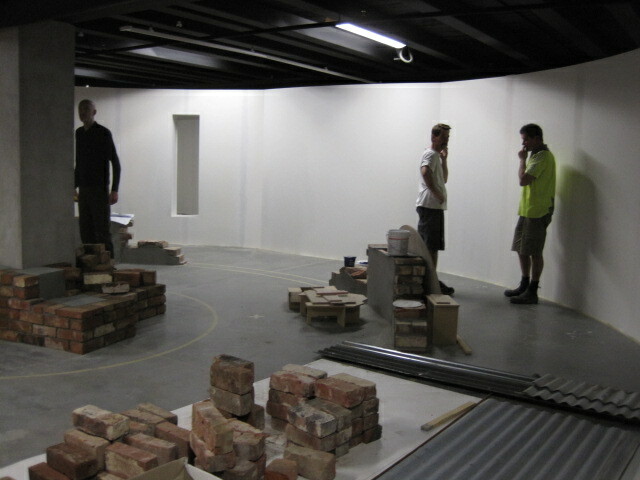 Tom Rowell and Tim McAsey move a false wall into the gallery. Lights laid out waiting to be installed. 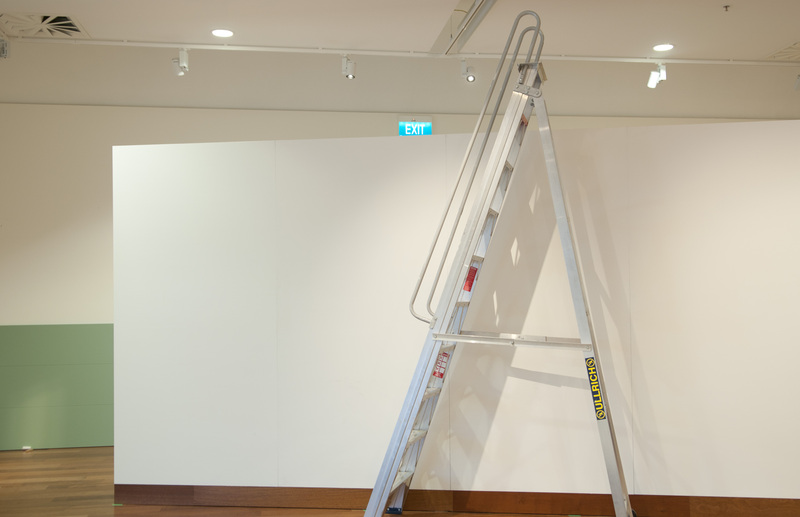 A ladder used to install the lights in the gallery spaces. To all our MTG Friends who have generously donated to the Hawke’s Bay Museum Trust Collection, we would like to say a huge thank you. 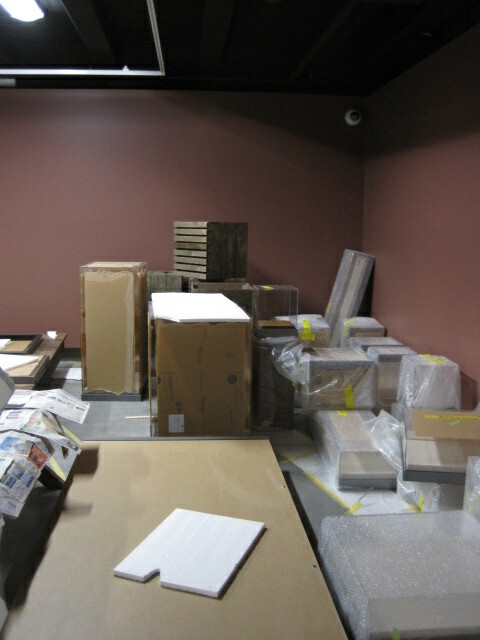 Current Friend’s donations have allowed the recent acquisition of three pieces to add to the collection. 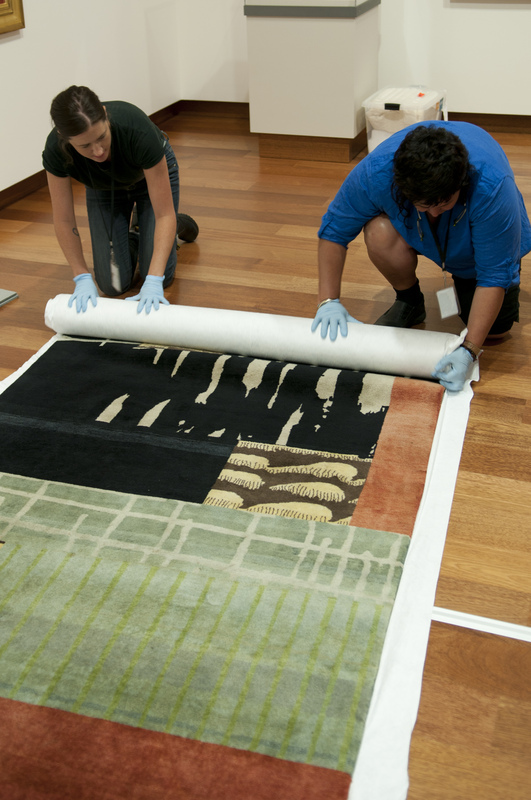 These were selected as works important to highlight and expand on the stories of artists, art movements and designers already held within the collection, with significance to the Hawke’s Bay region, New Zealand and beyond. Untitled, c. 1906, T.A McCormack, b.1883, d.1973 Collection of Hawke’s Bay Museums Trust, Ruawharo Tā-ū-rangi, 2013/35 Purchased with funds from MTG Hawke’s Bay friend’s donations. 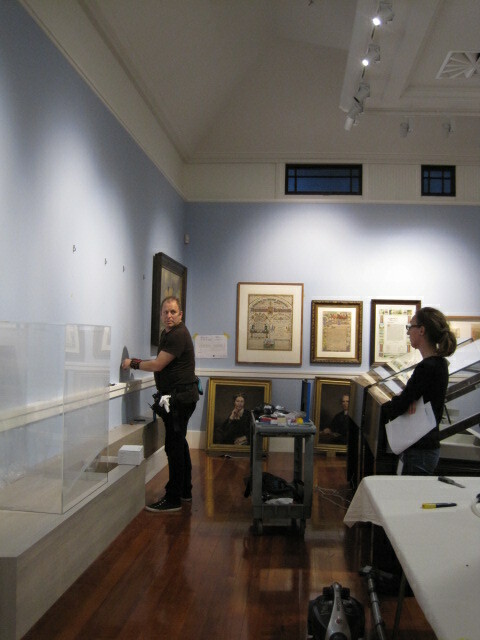 The Hawke’s Bay Museum Trust Collection includes many of McCormack’s works. Our recent acquisition being significant in that it is a very early piece, painted when the artist was just 23 years old. 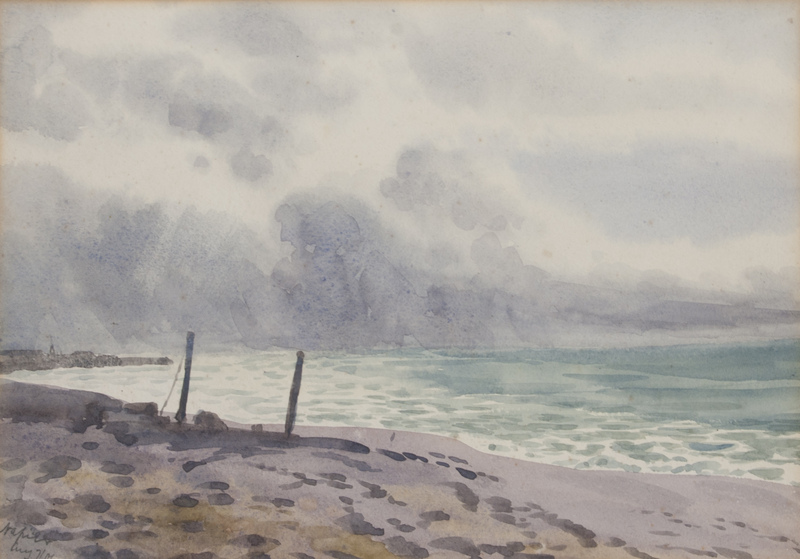 The untitled watercolour (c1906) depicts the Ahuriri foreshore, Douglas Lloyd Jenkins – Director MTG Hawke’s Bay notes ‘It is around this time that McCormack arrived at a recognisable, mature style. This work is a key example, in its own way, a big part of the overall story of the artist and the development of his career’. Another of McCormack’s works ‘Tapestry’ can currently be viewed in our Architecture of the heart exhibition, on display until March 2nd 2014. Our second purchase, a vase by English ceramic designer Dame Susie Cooper, adds another page in the collections story of a design period close to the heart of this region. 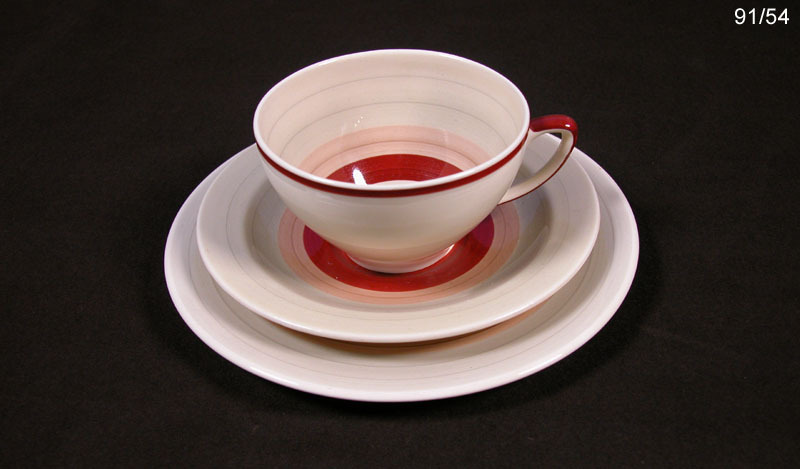 Cooper was a prolific English ceramics designer with a career spanning more than seventy years. Beginning with a placement in the early 1920’s as a paintress at Grey & Co Pottery Company in Burslem, England Susie was quickly promoted to lead designer, allowing her the freedom to explore the geometrics and pattern associated with the Art Deco period. By the late 1920’s Cooper had branched out on her own, forming ‘Susie Cooper Pottery’. Later merging with ‘Wood & Sons’, another local Burslem company who provided her with quality white ware, which she would transform with her vibrant hand painted designs. Susie’s company grew, eventually supplying Harrods, Selfridges and Waring & Gillow among others with her wares. In 1940 Cooper was presented with the Royal Society of Arts ‘Designer for Industry Award’, the first woman to ever receive this. Our latest addition of Cooper’s work is a vibrant hand painted, green earthenware vase, featuring a Sgraffito design of deer and foliage, a popular Art Deco motif. 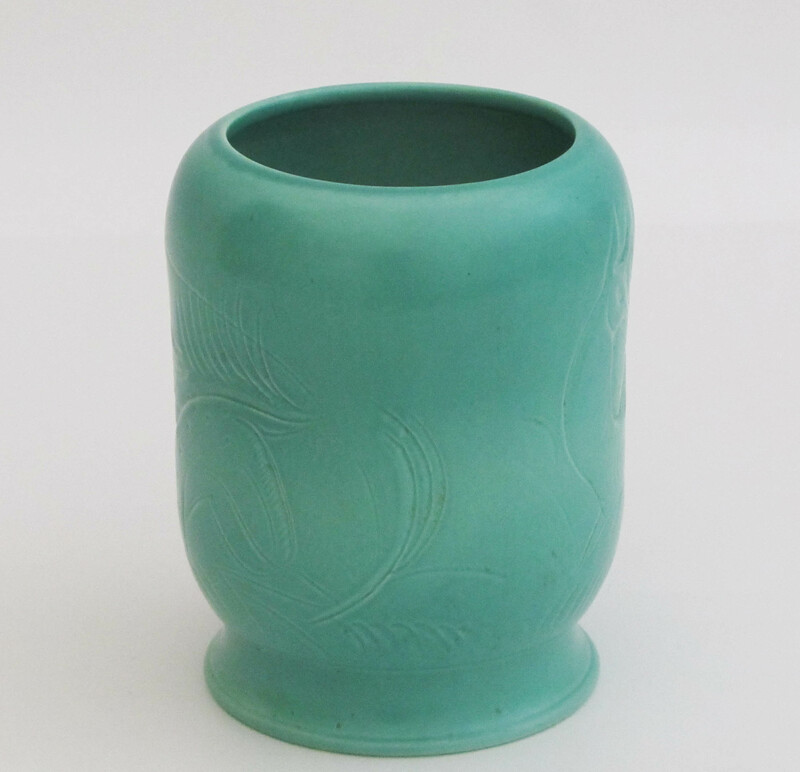 The Hawke’s Bay Museum Trust Collection holds many Susie Cooper production pieces, however this vase is significant in that it is an example of her earlier one-off designs. This piece is currently featured in our decorative arts exhibition in the MTG Annex. Vase, glazed earthenware, C1930, Dame Susie Cooper b.1902 d.1995 Collection of Hawke’s Bay Museums Trust, Ruawharo Tā-ū-rangi, 2013/39/1 Purchased with funds from MTG Hawke’s Bay friend’s donations. Another prolific English designer, Archibald Knox is the maker of our third acquisition. Much like Cooper, Knox mastered the balance of expressing an individual design voice while still remaining accessible to the masses. In 1899, with an impressive variety of talents, Knox began designing for London store Liberty & Co. Wallpaper, jewellery, ornaments, textiles, silverware and clocks were all part of his extensive range. The Liberty & Co store specialised in selling fabrics, ornaments and objects from Japan and the far-east, and is attributed with introducing this style to the west. This had a great influence on artists and designers of the time and by the 1890’s founder Arthur Liberty had tapped into the English Arts and Crafts and Art Nouveau design communities. With Liberty’s encouragement and business behind them, these designers and the Arts and Craft movement flourished. 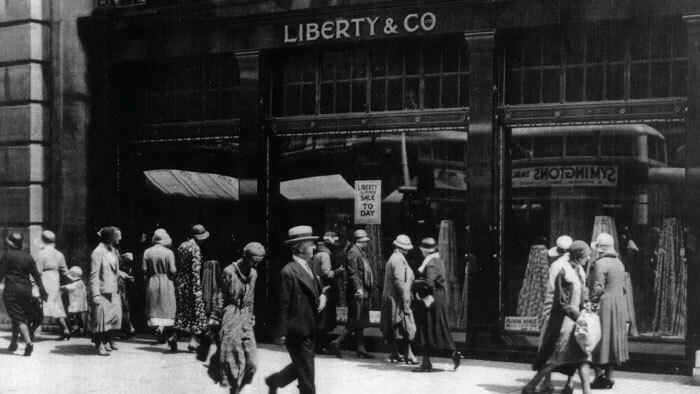 Liberty aimed for “the production of useful and beautiful objects at prices within the reach of all classes.” (5) This was achieved by keeping manufacturing costs low, meaning lower pricing for customers at the register. This was in contrast to other Art Nouveau Pieces at the time which were generally one-off and therefore priced to match. 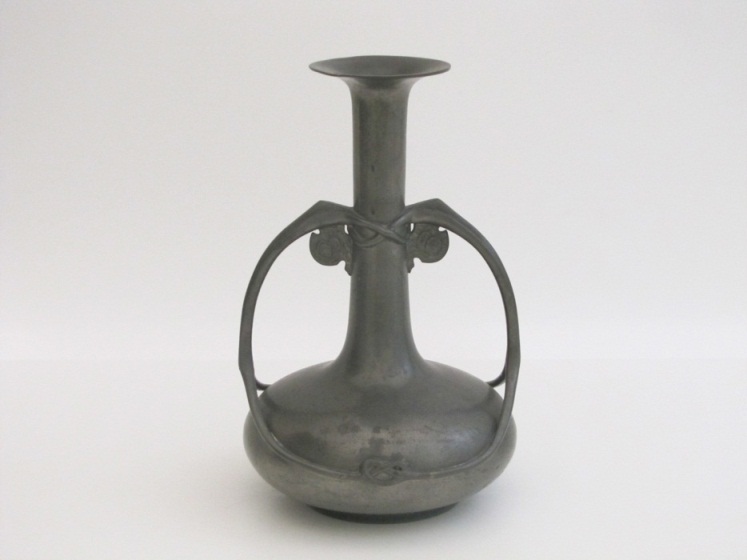 Pewter Vase, c1905. Archibald Knox, Liberty b. 1864 d.1933 Collection of Hawke’s Bay Museums Trust, Ruawharo Tā-ū-rangi, 2013/43 Purchased with funds from MTG Hawke’s Bay friend’s donations. 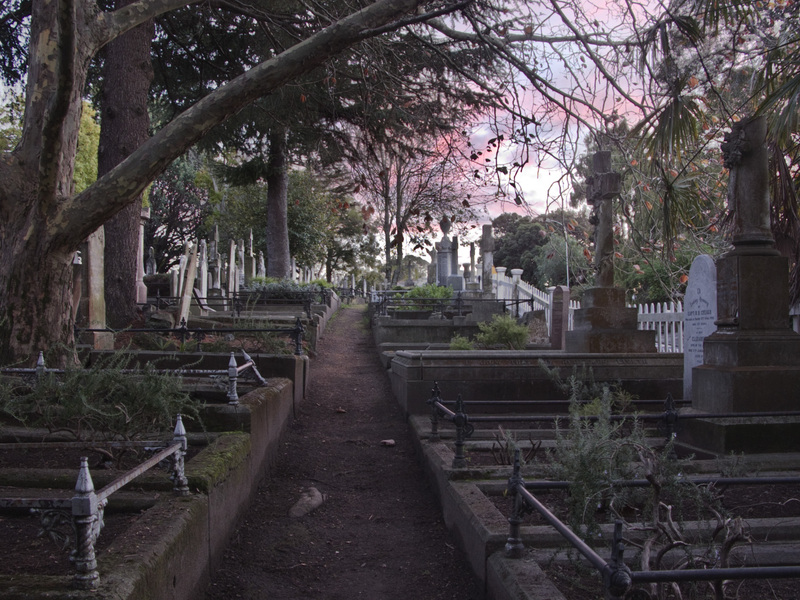 During January, February and March, 2014 MTG Hawke’s Bay will again host three guided tours in the Napier Cemetery. 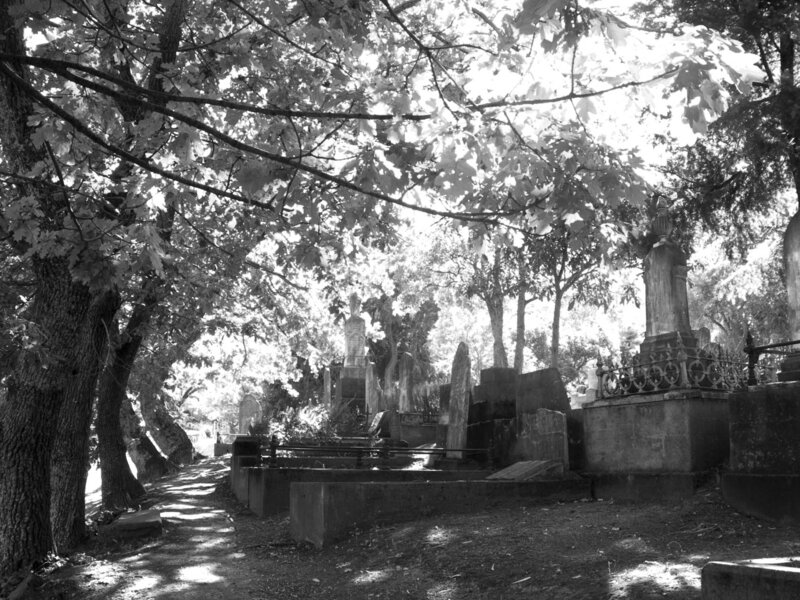 These highly successful tours were launched in November 2008 in association with the exhibition Somebody’s Darling, Stories from the Napier Cemetery, curated by Peter Wells and Gail Pope and have run every summer since. 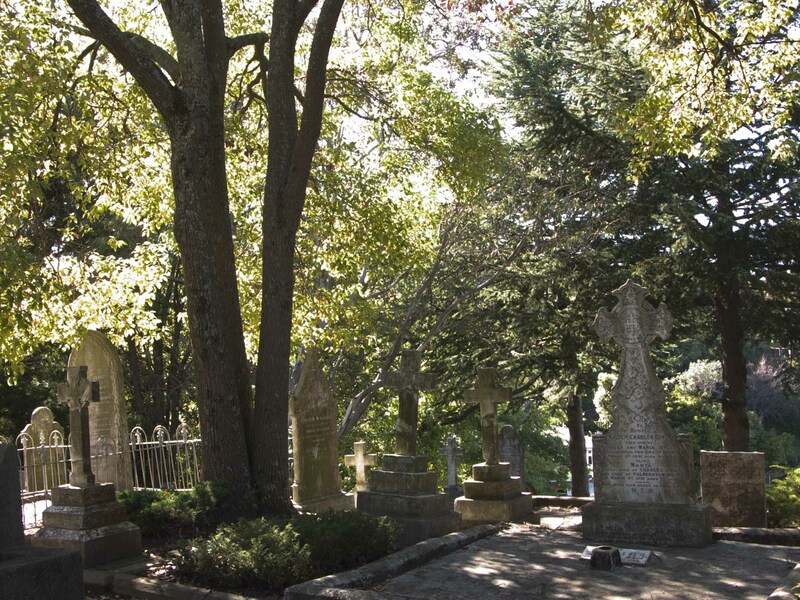 Row upon row of hand crafted headstones contrast vividly against the startling blue of the sky, shadows cast by the varying hues and patterns of the trees and leaves produce constant movement and dance over headstones and the air is punctuated with birdsong. Spectacular views looking out towards Cape Kidnappers and Te Mata Peak can be glimpsed between trees contorted by age and weather. The beautifully crafted headstones identify well-known local and national identities as well as the ‘everyday’ men, women and children who also have extraordinary stories associated with their lives, and their deaths. In conjunction with the exhibition a group of keen volunteer gardeners, Jenny Horne, Jenny Baker, Heather Carter, Sue Langford, Peter Wells and Gail Pope formed the Greening the Graveyard Group. Their aim, with the support of the Napier City Council, was and is, to turn a stark grey environment into one of colour, fragrance and life. 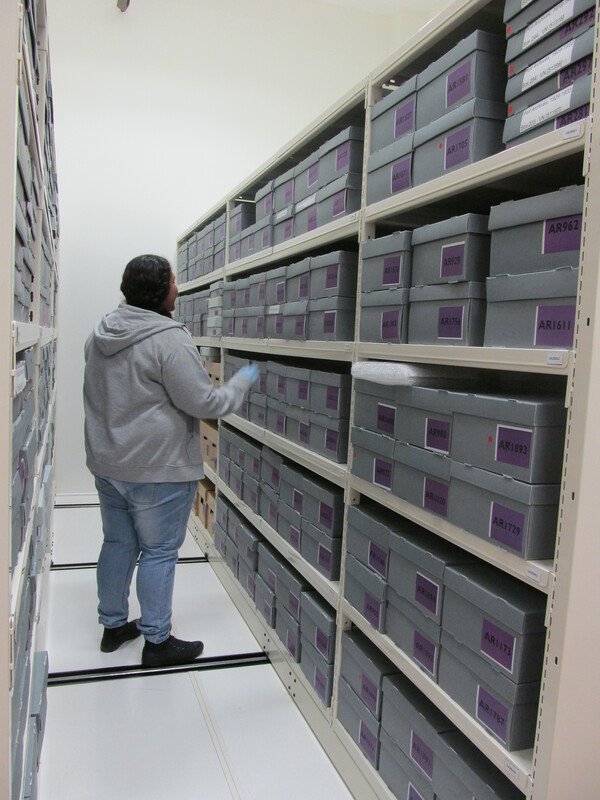 The income received from the cemetery tours each year has been used to support the museum redevelopment project and for the Greening the Graveyard Group to purchase plants to enhance the beauty of the cemetery. 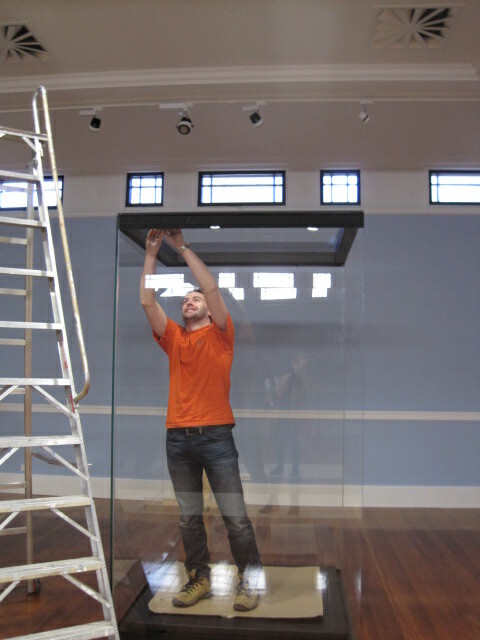 For the last three years the Greening the Graveyard Group have also used the funds to purchase new works for the Hawke’s Bay Museums Trust collection. 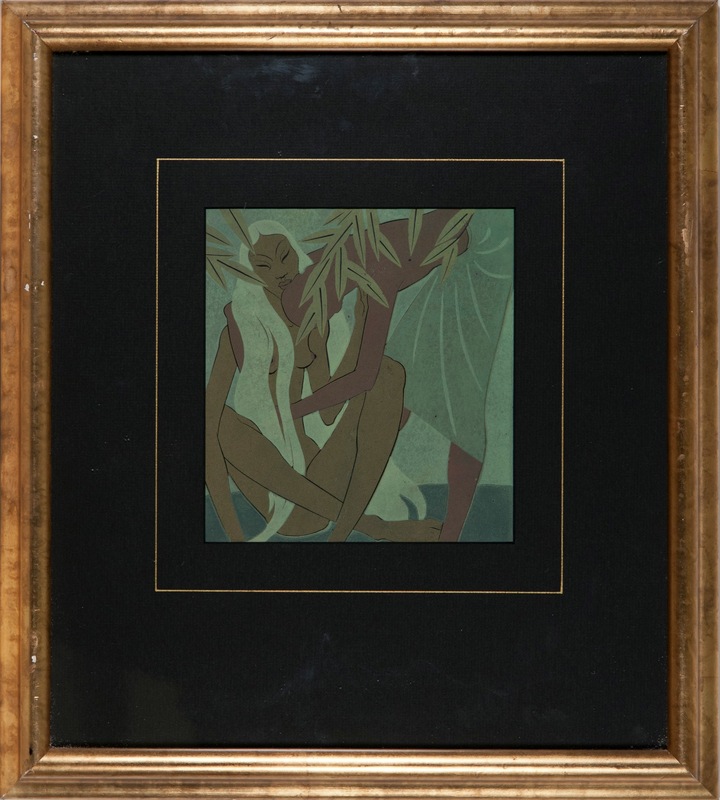 The first item purchased by the Greening the Graveyard Group was A Study of Two Figures by George Wood (1898-1963). 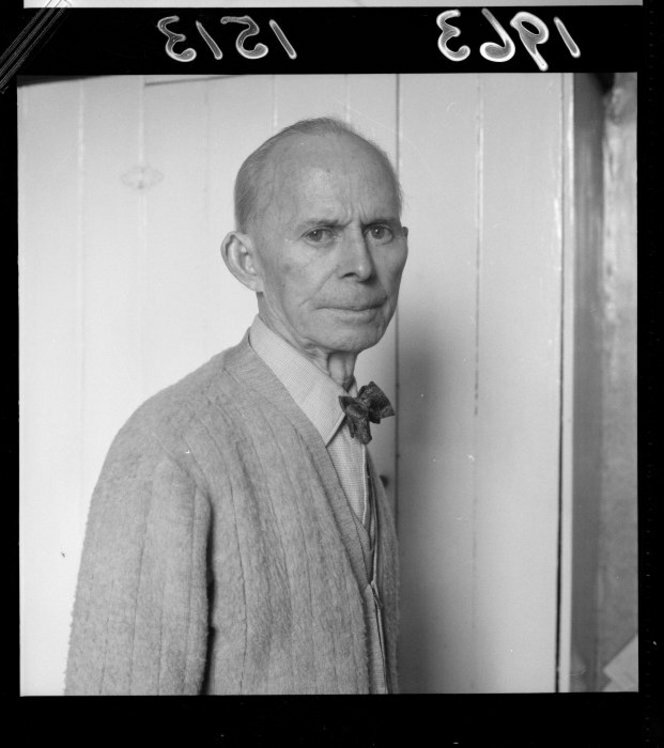 Wood was a New Zealand draughtsman, illustrator and artist. He is best known for his graphic stylized images which capture form and light through simple line with the use of unbroken colour. His work reflects the concerns and style of the Art Deco movement, which fed into the modernist Avant-garde and also shows the influence of Māori culture and the Pacific Islands. 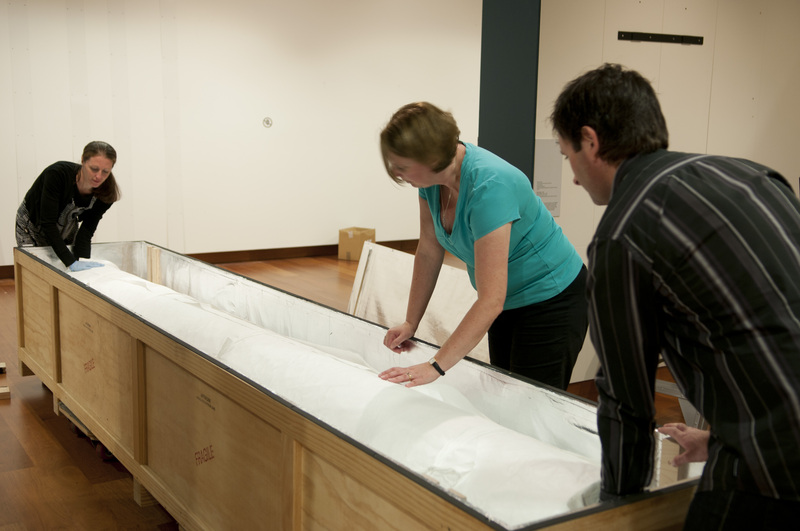 Such works as this are extremely rare and particularly resonant within the context of the Hawke’s Bay Museum’s Trust collection. 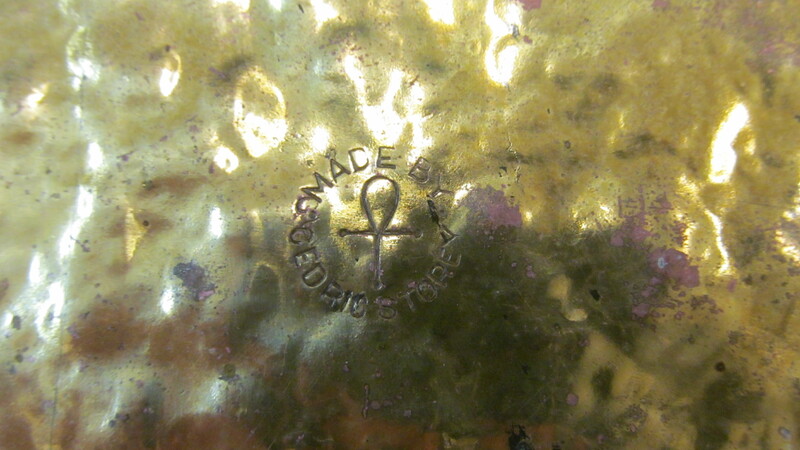 The second piece purchased by the group was a repoussé tray made by Cedric Storey. 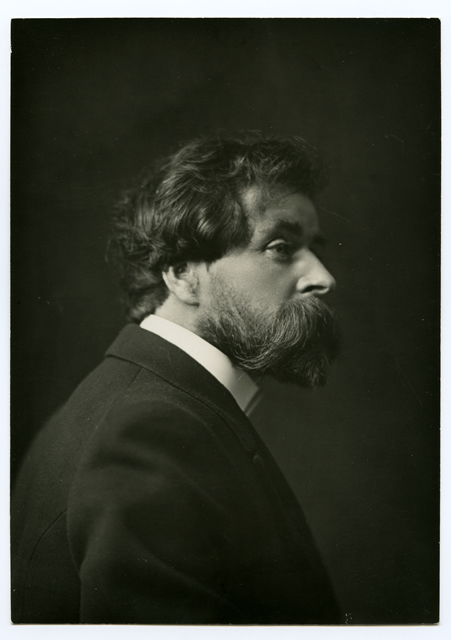 Storey was an artist, panelbeater, sculptor and jeweller. He designed the Auckland City Council official coat of arms and created the much-loved dragon at the Auckland Zoo in the late 1950s. 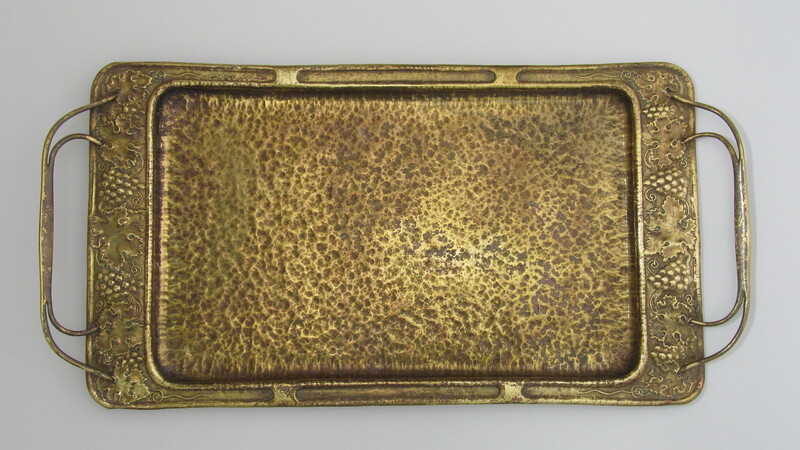 This tray is rare example of a New Zealand made piece of Arts & Crafts metalwork, rectangular in design with raised decoration at either end in the form of grapes and vine leaves. 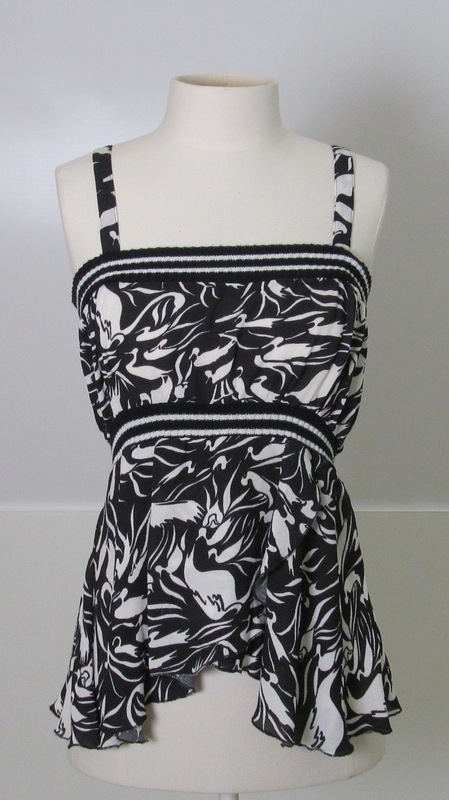 This top, a sample garment from the Laurie Foon label, a designer and founder member of the Starfish clothing range was purchased for the collection in 2013. One of the many attributes of Starfish clothing was the understated detailing and relaxed lines that allowed the wearer to integrate the garment into their own unique style. The label was also known for a commitment and focus on environmental sustainability. 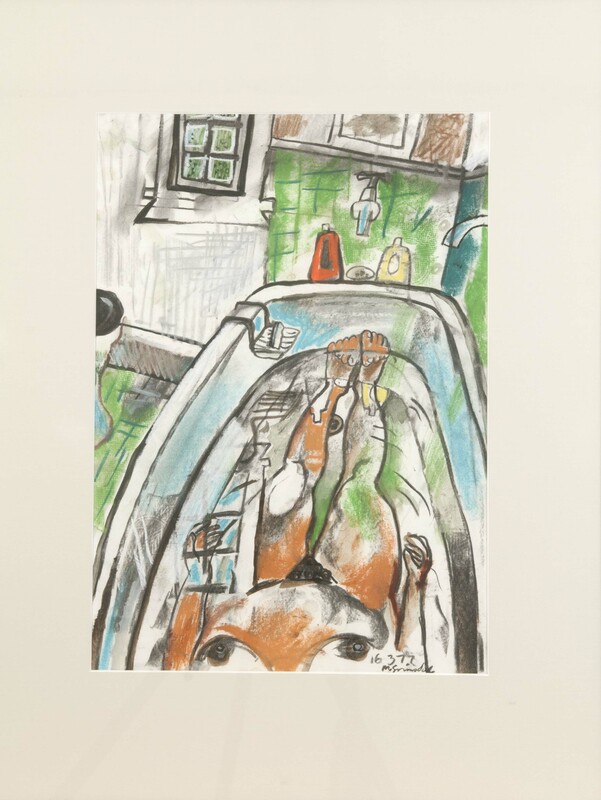 The most recent purchase, in late 2013 was the painting titled, In the Bath by New Zealand artist Murray Grimsdale. 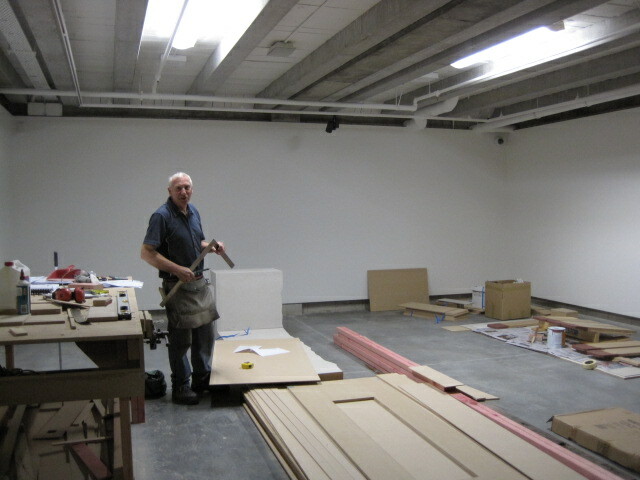 Grimsdale’s recurring concerns as an artist are the events and the people which surround him. His works are often domestic in scale and familial in subject. The money raised over the summer 2014 tours will continue to be used to develop the collection and we look forward to sharing new acquisitions purchased by the Greening the Graveyard group over the coming year. Payment to be taken on the day. Please wear sturdy footwear, a sunhat and take a bottle of water. 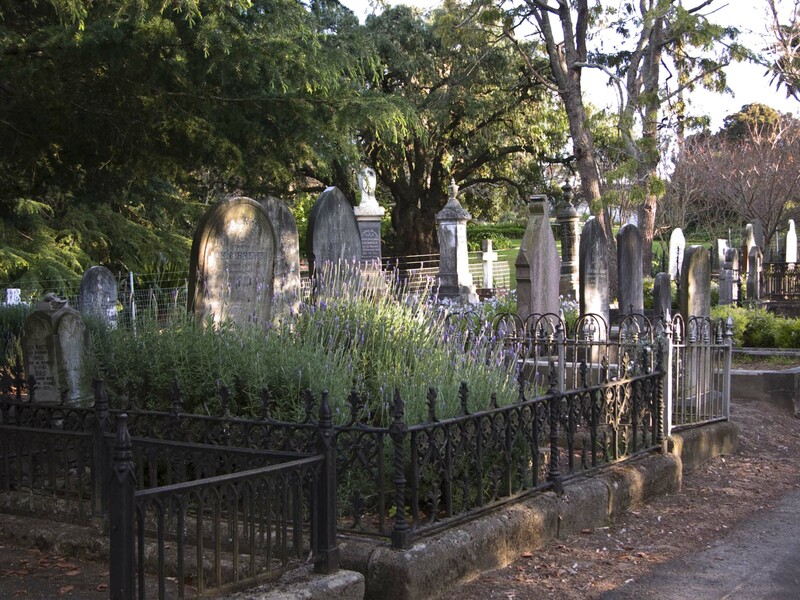 The tour meeting point is at the gates of the Cemetery, situated on Napier Terrace, next to the Botanical Gardens. As I sat down at my desk this morning I had rather a shock. Today is the 21st October, which means MTG Hawke’s Bay has been open for one month today! The days have flown by and we are so enjoying welcoming visitors to our beautiful new facility. This month has seen an outstanding 12,000 museum and gallery admissions. Add to that all who have attended events, performances and film and MTG Hawke’s Bay has been very busy indeed. As I write, the Customer Services Team are preparing to open the gallery doors, our Educators are welcoming a class from St Joseph’s Māori Girls’ College, and the MTG Century Theatre is gearing up for day 6 of the NZ International Film Festival. Just over one month ago all of the MTG team and many, many helping hands were in the final stages of preparation to welcome the public back to the MTG. There were late nights, early starts and quite a few stressful moments. Now we are (almost) recovered from the exhaustion I think we will soon look back with fond memories on the energy, exhilaration and anticipation of that final countdown to opening day. The MTG team would like to thank our talented team of installers, lighting specialists, AV developers, carpenters, bricklayers, designers, technicians and many more friends, colleagues, contractors and volunteers. To Stephen Salt, Rob Cherry, Mickey Golwacki, Martin Kelly, Alivia Kofoed, Sobranie Huang, Stephen Brookbanks, Clem Schollum, Chris Streeter, Jake Yocum, Beau Walsh, Gavin Walker, Greg Parker, Nick Giles, Gerard Beckinsdale, Dean Edgington, Sophia Smolenski, Marcus McShane, Adam Walker, Johann Nortje, Mike Slater, Te Rangi Tinirau, Tony Zondruska, Matt Kaveney, Elham Salari, Jon Hall – we couldn’t have done it without your expertise and dedication. It was great working with you and we hope to see you all back at MTG soon. 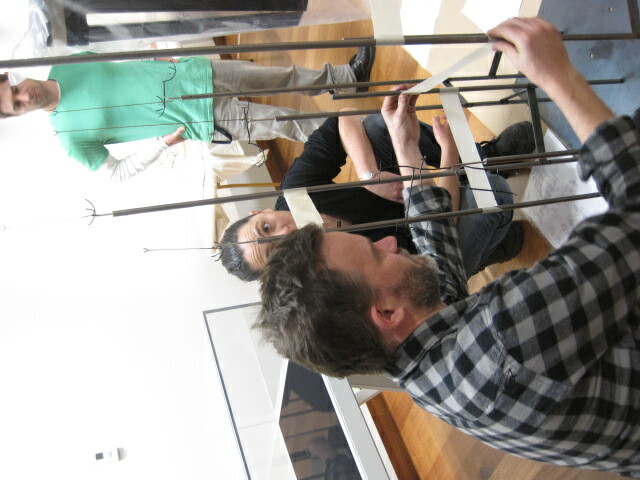 Curating MTG Hawke’s Bay’s inaugural taonga Māori exhibition Ūkaipō – ō tātou whakapapa has been a personal journey. I returned to Hawke’s Bay for this position after 11 years in Wellington, studying and teaching, then editing Māori children’s publications. 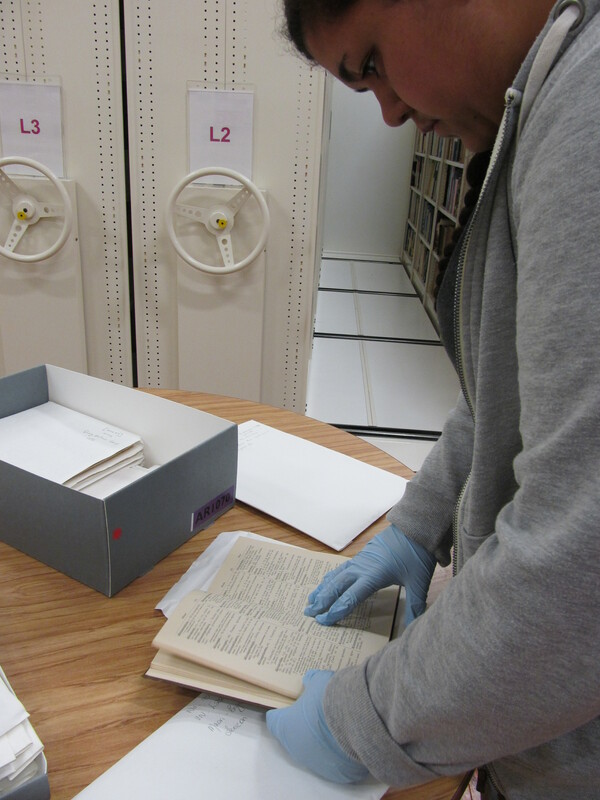 There have been a new set of challenges working on research for my own iwi. 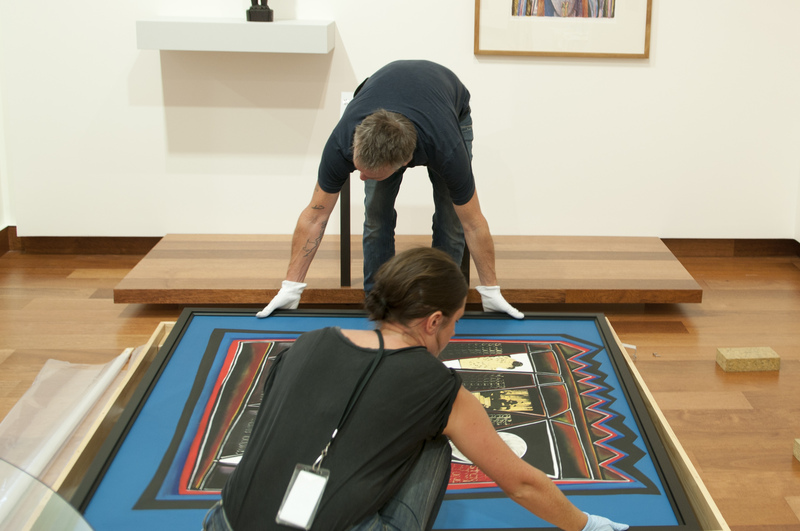 It becomes a personal responsibility to ensure tikanga is respected as well as producing an exhibition that is of interest and inspirational. I have re-established relationships with those I’ve known throughout my childhood, with the intention that their stories are told appropriately and with respect. I’m fortunate that I had previous networks in Hawke’s Bay before I even started. My mother was known for her work in the local community. Growing up here has been an advantage. 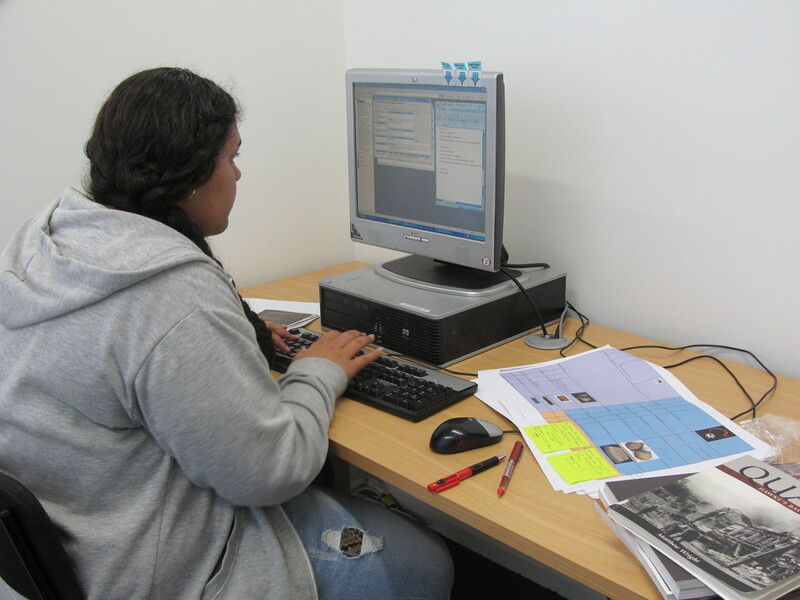 The hapū we have been researching like to know someone’s grown up here and offered their time for the community. When I go out into the community to talk about what we’re doing it is important to establish your hapū connections first. Make time to talk and stay for a cup of tea. The whānau and kaumātua have been really supportive of what have been doing with Ūkaipō – ō tātou whakapapa. They have been on this journey with us. It’s been a unique process, and I’m glad that MTG management have been really understanding in allowing Kaitiaki Taonga Māori Tryphena Cracknell, Designer Desna Whaanga-Schollum and myself to maintain these relationships appropriately. The concept of this exhibition came about quite organically and was one of three proposed concepts. Ūkaipō – ō tātou whakapapa seemed relevant for an opening taonga show and an appropriate opening introduction since the previous taonga exhibition Ngā Tukemata had stood for 22 years. Ūkaipō will be renewed after 12 months. People should expect something different with Ūkaipō – ō tātou whakapapa. The approach is relevant to current audiences, is inclusive and aims to accommodate wider age groups. 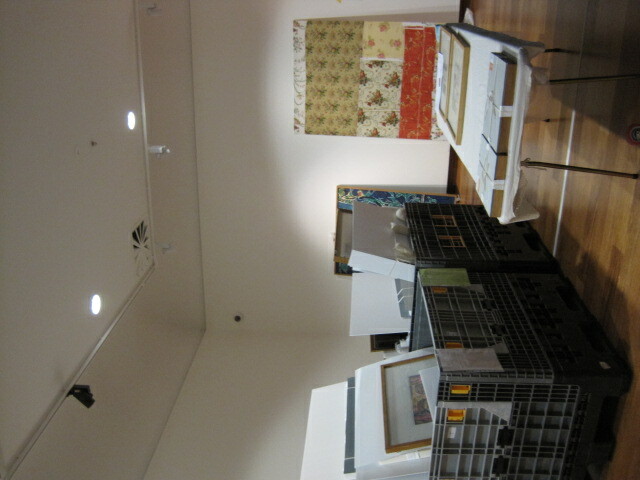 Our point of difference in terms of taonga exhibitions is to remind people of their identity, upbringing and homeground. That is what Ūkaipō is, regardless of age or ethnicity. What we would like is for our visitors to see themselves in this show, whether that be seeing photos of themselves when they were kids, or hearing their voices or the voices of their mokopuna. Rather than just seeing a carving, they will hear the descendants speaking about it. The Waiohiki pou tokomanawa (interior carved ancestral posts) which were at the entrance of Ngā Tukemata are significant and identifiable by local hapū. These pou are included in Ūkaipō as it is important that these taonga are accessible to the iwi and the community. 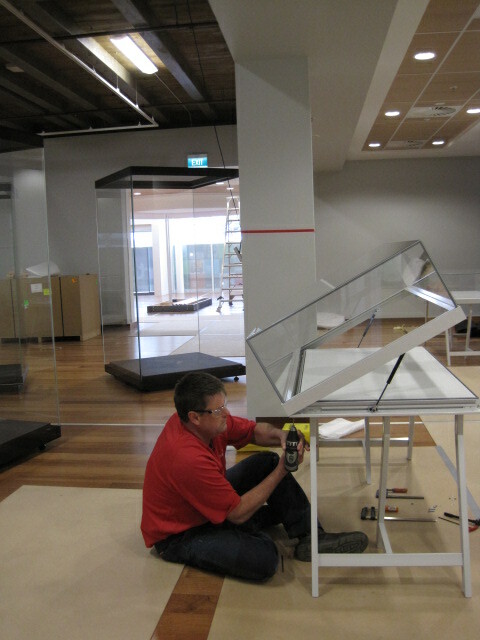 There are two other significant pou tokomanawa going on display, one from Ahuriri and another from Tutira. I remember the Tutira pou very well. When I was young my whānau and I would come and mihi to this pou who is our tipuna and represents the descedants of Tutira. 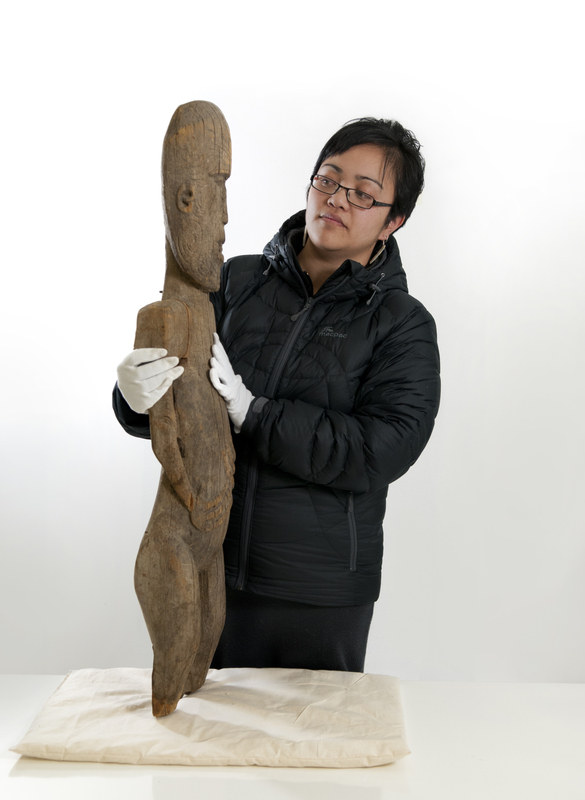 The pou was found in Lake Tutira in the late 19th Century by Guthrie Smith, and came into the museum collection in the late 1970’s. These taonga have significant mana, and it’s been important to work the show around them. They have such a presence and people expect to see them. This is what Ūkaipō – ō tātou whakapapa is about – identity and whakapapa. This exhibition allows access to taonga and whakapapa, showcasing local stories, featuring local tipuna. Ūkaipō – ō tātou whakapapa opens to the public on September 21.